That's right, Santa doesn’t deliver presents to everyone. There are some children in Caithness who will wake up on Christmas morning with no gifts to open. 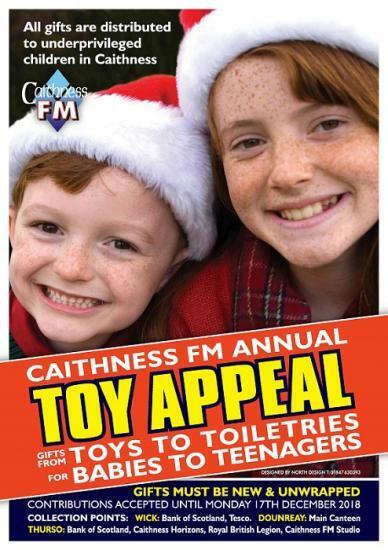 But you can help provide these kids with some Christmas joy by supporting the CAITHNESS FM ANNUAL TOY APPEAL.